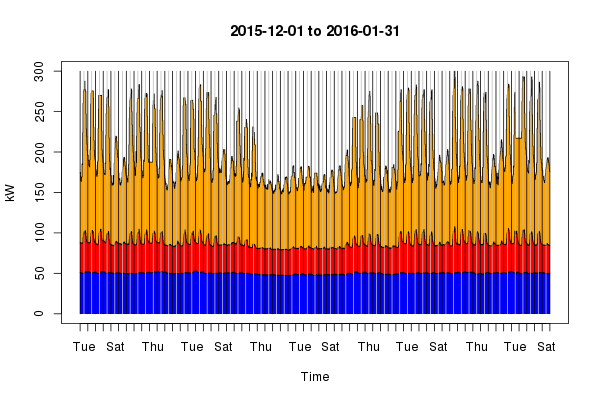 Hourly electricity use December 2015-January 2016. Many of us are going to be out of the office for the next couple of weeks, and so this is a good opportunity to save energy – see the graph of hourly electricity consumption in the Forum in December 2015 and January 2016 (blue is servers, red is sockets in offices, orange is everything else, such as lights, lifts, dishwashers, kettles, data projectors). Happy Christmas and a peaceful New Year from your Energy Coordinator!